I would argue that the choreography of the TEDx Amsterdam event, which happens today, is some of the best on the planet. They promote the event like no other. I am much less enthusiastic about the effectiveness of the output. Nobody is watching this. I believe I know why. The 1980's, as predicted by the British sci-fi series UFO. And remember the jingle company that did a great spoof on radio in 1983 by inventing the punk country format? Listen to the first part of this edition of Media Network. Ken is brilliant as usual. I love his style. Sounds off the cuff. But I'm sure it takes years of preparation. Not on the TED talks site. But actually goes in to more detail than you see in the TED lectures. Live, round the clock and slightly round the bend. Your continuous source of radio station jingles. Livbe from Salford - the media end of Manchester in the UK. My advice - Best tried in small doses. Thanks to James Cridland for the tip. JingleMad Radio, launching early 2013, will play non-stop jingles created for radio stations around the world. JingleMad Radio is launching 10 years after the original JingleMad.com site and forums started, bringing together fans of the short songs all around the world. The website and now radio station were both founded by audio producer Roy Martin, who is keen to spread the love of jingles even further. The station has been testing for the last 12 months, ever since the idea was conceived. Now with almost 10,000 jingles on the Myriad Playout System, the special station is almost ready to launch. Jingles from stations such as Z100, KIIS FM, PLJ, CBS FM, JACK FM and BBC Radio. Even the large amount of jingles from the Chris Moyles show on BBC Radio 1 are on rotation. JingleMad Radio will be the only stream playing non-stop radio jingles, and is sponsored by UK-based P Squared who are kindly providing their flagship software Myriad and Autotrack, along with streaming byPlanetWideRadio.com. Listen to “test transmissions” for the new station at JingleMadRadio.com or search for JingleMad on TuneIn. Really ooooold technology often seems a lot more lifelike than the new. Yes, it is an animated GIF. Remember them? I'm a great fan of This Week in Google. This is one of the scariest episodes they've made though. It's Not Safe For Work - not because there's anything rude. Why? Because they quickly identify a huge problem brewing as YouTube tries to merge with Google Plus. It is heading for disaster. And if you are relying on YouTube for your income, that's bad news for creatives publishing regularly on the platform. And what with Facebook doing strange things to filter out what your friends can see, this may be the cue for MySpace2.0. I think this is one of the most useful TED talks every recorded. Simple, effective and easy to implement. I think a lot of broadcasters need to look at this question - why on earth are they still on the air? Glad they solved the rubbish sound at the beginning. A wireless mike on low batteries is always a disaster because the signal gets interfered with from all the mobile phones in the room on standby. And this is the last in the series of programmes on Propaganda Past and Present. Remember it was made in 1982, probably at the height of the popularity of international radio broadcasting when the Cold War was still very much alive. This edition contains the voice of Bernard Bumpus, who was head of audience research at the BBC External Services. Gerard Mansell, then the Managing Director of BBC World Service points out that the French external service had big plans for expansion by 1985. We also hear from the late Nevil Gray who worked for Deutschlandfunk in Cologne before joining Radio Netherlands. He recounts a tale of how a programme he made for DLF was taken off the air and rebroadcast by East Germany, but then out of context. Probably the best air safety instruction video ever made. A pleasure to watch. Probably the most expensive - but was it worth it? You bet! They made a collectors item out of something as mundane as an airline safety film. Now that's brilliant. 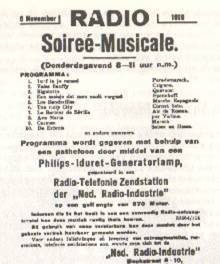 This first half of this edition looked at the start of Radio Netherlands in 1947 and the challenges it faced in the questions surrounding Indonesia at the time. Was it an instrument of government propaganda? The second half of this episode looks at clandestine broadcasting across Africa, illustrated with unique off-air recordings from the late Richard Ginbey. 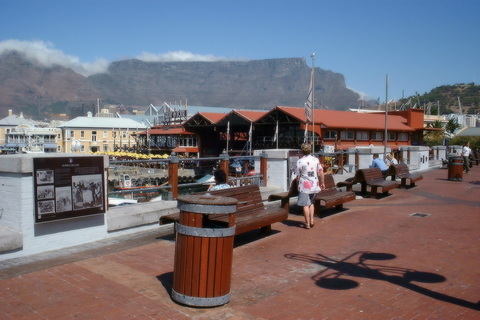 At the time, Richard was based just outside Johnannesburg, but had managed to collect many off-air clips from a multitude of stations. (Some people may recall he ran a monthly media programme on Radio Portugal in the 1970's). This includes the Voice of Namibia, Polisario Front - Voice of Free Africa, and the various stations targeting the warring factions in Angola. I believe the recordings of the Zimbabwean clandestines haven't been heard for years. I wonder if anyone recognises the music used by the Voice of Truth (20 minutes into the programme). It sounds like a film score, but although I have tried various services like Shazam, still don't know the title. Be careful - it is very very catchy and even 30 years later I can hum the melody. Wish I knew where it came from! This edition of Media Wars looks at how governments often make a mess of the message they are trying to put across. 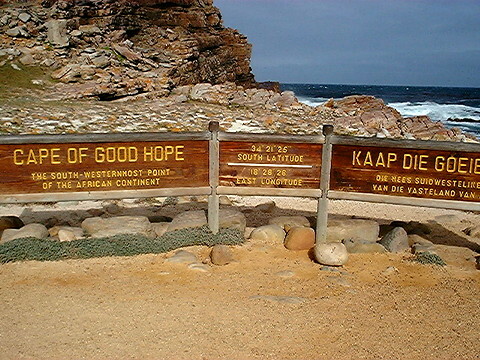 We started with Radio South Atlantic, which was run by the British MOD. 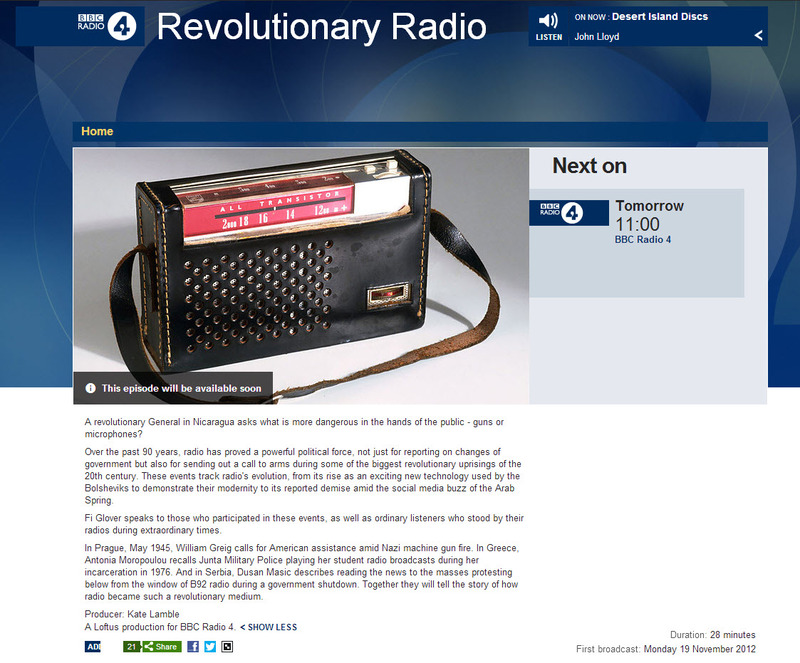 Gerard Mansell talks about British clandestine radio during the Suez Crisis. It was the Voice of Britain (Sharq-el-Adna) and came from the mediumwave transmitter near Limassol in Cyprus. When this programme was made there was no Wikipedia entry as there is today. We also looked at the mystery surrounding the Radio Euzkadi transmitter tower and how the Voice of the Basque Underground faked the picture on their QSL card. You can also hear some rare recording of the anti-Russian station NTS which operated from Bavaria in Germany. While Portugal was under a dictatorship, there were no less than two clandestine stations broadcasting to the country, one from Algeria. There are also examples of black propaganda beamed into China. They originated from Soviet Union. Remember Sparks? (Note I am aware of a few tape drop outs around 20'00 into the programme). This is Episode 3 out of 6. It was my first attempt at making a documentary series on a subject that really fascinated me - and the audience to Media Network. We always had a lot of response when we mentioned "pirates" or "clandestine" stations. It was something you didn't hear on other public broadcasting stations out of Europe. Pim Rijntjes explains some ways round the "dreary" Sunday programming that was invented in the Dutch East Indies. The programme draws the parallel with the Falklands Malvinas Conflict in 1982. 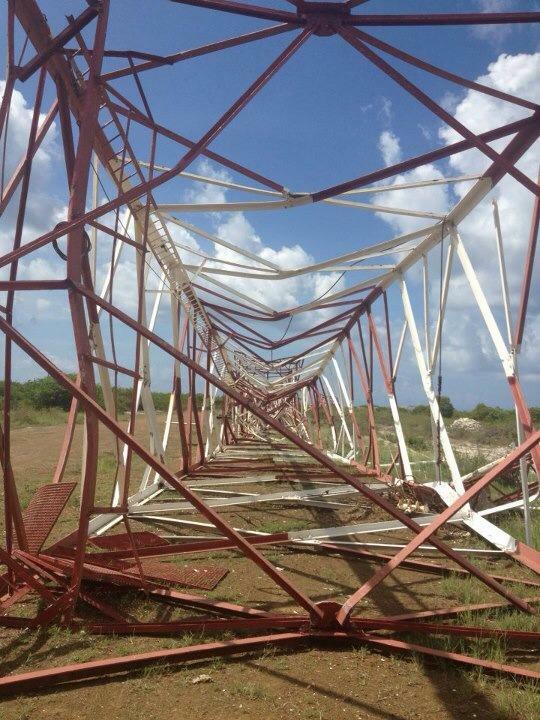 There was also a Dutch equivalent to the British Forces Broadcasting Services operating from Indonesia. Pim Rijntjes explains the secret of the time signal pips. They sounded official but had little to do with time keeping. Sietze van der Werf explains the Dutch position of New Guinea and what they saw as subtle support by the Indonesian department of Radio Australia. Remember this programme was originally broadcast at the time of the Falklands Conflict in April 1982. Check out this episode at Libsyn! Not sure I understand the line saying that Iran has accused UK technicians of jamming in Bahrain? Were they working on behalf of the UK government? Is this just a way to make the story look more "balanced". I think it confuses an otherwise useful animation. Pity the BBC has worked out that allowing others to embed would be rather useful to get the word out. A visit with Wolf Harranth, OE1WHC, Dokufunk Curator from Jonathan Marks on Vimeo. Haven't yet found the time to complete this project. But seeing as radio propaganda is topical at the moment, check out this video with Wolf Harranth. I wanted to share part one of a short documentary I am making about the radio documentation centre in Vienna. When I was there in September last year, my colleague broadcaster and friend Wolf Harranth showed me around the world's largest collection of radio related documents, both from the broadcast and amateur radio world. In fact the millions of QSL cards, magazines, books and unique government records tell the story of communication across international borders. They survive on help from volunteers and I hope that this video will help to explain why they are so passionate about preserving the golden age of international radio. I worked closely with Wolf Harranth, the German media editor at the ORF, when I was host and presenter of Media Network on Radio Netherlands. We swapped transmission tapes and I am glad we both had the foresight to keep a lot of radio history others have subsequently thrown away. There is more information in both English and German at http:// dokufunk.org. Vimeo limits the size of files, so I have split this first draft into two parts. This version goes into a lot more detail because I know many others shared the memories that Wolf describes. Part two is now up as well - vimeo.com/11129204 Enjoy! This Second edition of Media Wars looks at the rather unique situation that Dutch broadcasters found themselves in at the end of the Second World War in the Dutch East Indies, today's Indonesia. It's ironic that Pim Rijntes was one of the first broadcasters at Radio Netherlands and took part in the last Dutch language broadcast on May 11th 2012. Interesting to contrast the different cultures. Love the story about how the year of 1947 started a little late. And how the technicians for the Dutch broadcasting network were lent to them by the opposition Radio Republik Indonesia. The programme also contains the voice of the late Gerard Mansell who talks about the challenges the BBC faced with credibility in Norway during the 2nd World War. 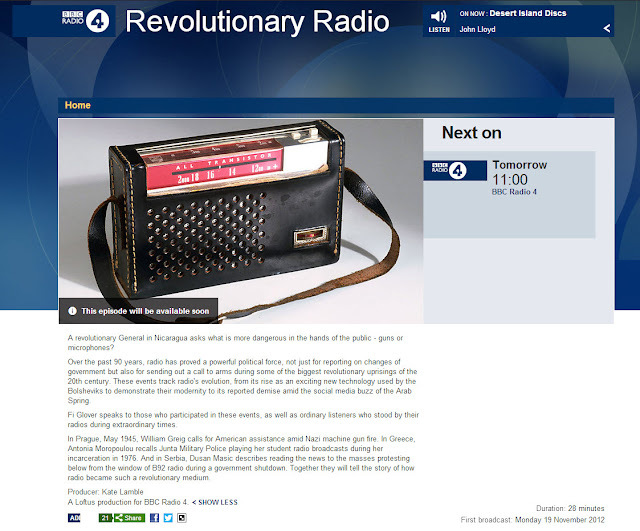 Coincidently, BBC Radio 4 is broadcasting a programme about revolutionary radio, which also contained a lot of propaganda of course. 11 UTC on Monday 19th November 2012. I think I recognise one of those clips from Radio Prague in 1945 shouting for help in English. It was on one of the Radio Prague propaganda records put out in the late 1970's. You can hear how I used the same clip here in a programme I made in 1988. Go Pro are really disrupting the broadcast industry because their tiny HD cameras capture stuff in places where others fear to tread. And Go Pro just has to make good stuff. The audience of users does the rest. Makes me feel sorry for some of the others in the broadcast industry who seem to be in total denial that their industry is going through meteoric change. The title of the International Association of Broadcast Manufacturers' annual conference seems to sum it up. Wonder if the two day conference will come up with any solutions? Another Media Network flashback from the archive of programmes that I used to host on Radio Netherlands. In 1982 I decided to gather some of the interviews I'd made with international broadcasters who had been at the start of it all. It was my first attempt at making a documentary. Bearing in mind the equipment we had was rather rudimentary (it was all recorded on 1/4 inch UHER's), the final result isn't all that bad. It was broadcast in the course of 1982, basically as I found time to make them. The research was the challenge...no wikipedia being available at the time. The scripts were typed on a typewriter with carbon paper between the sheets to make copies for the engineer. I remember that quite often the letter O would punch holes ever time it was tapped. Thirty Years after the series was first broadcast, it is time to put it back on the wireless (web). In fact, the recordings lasted longer than Radio Netherlands English Radio Service. The audience is being asked to build the future by helping us recall the past. There are various initiatives running at the moment. But the Beatles seem to have one of the best curated projects I've seen in a long time. The Beatles Live! Project is a collaborative global quest to find and reveal hidden films, sound recordings, stories, photographs, and other media artifacts that were captured during The Beatles' concert tours. The best media and stories that we find will be showcased in a possible feature film about The Beatles' concert tours. This project provides a one-time opportunity for the fans to collaborate with The Beatles in a planned feature film. The music in the trailer is called "Orion 7." Sounds like it could have been in the Batman Film like The Dark Knight Rises. But it wasn't. This programme kicks of a series of nostalgic episodes about radio broadcasting. In 1997 we visited Wim Stuiver, a radio enthusiast whio built a private museum inside a farmhouse near the Dutch town of Diever.It was one of the best collections I've ever seen, telling the story of the early days of radio. Wilm had not only restored each piece to working order, he also knew the history behind each of the set. Sadly the museum no longer exists. Although a foundation was set up to try and preserve the collection in the Plantron in Dwingeloo, in the end the money ran out at everything was sold off for a song. The display cases are now in the Archeological Museum in Diever. I'm guessing this is the only radio programme that was made there in quite such detail. Happy Memories. Fascinated the discover there is such a body as the Audio Branding Academy. Although, I expect more from the trailer than just nice photos of Oxford. Wonder where radio fits in? The Audio Branding Academy is pleased to announce the fourth Audio Branding Congress that will take place on 11th December 2012! Last year’s convention, held at Columbia University in New York and hosted by audio branding agency Expansion Team, focused on new prospects of building brands on mobile devices by using sound. This year’s congress will take place at Oxford Examination Schools. The Audio Branding Academy is partnering with the University of Oxford who will be hosting the 2012 Audio Branding Congress. The theme of the 2012 congress, “Listen to consumers”, will put emphasis on questions linking audio branding and consumer research. Keynote speakers from Oxford University will beProf. Nancy Puccinelli (Saïd Business School) and Prof. Charles Spence (Department of Experimental Psychology). Another highlight of the day will be the presentations of the nominated cases for the Audio Branding Award 2012 and the award ceremony. Talks and poster presentations, selected via a call for papers, the results of the industry market survey Audio Branding Barometer 2012, and a panel discussion will complete the program. I note discussion in the US radio trade press concerned that Porsche has launched a new model including a car radio that no longer has AM (medium-wave) on it. Actually, this is no something new. The web is full of fixes and complaints that AM reception is not what it used to be. 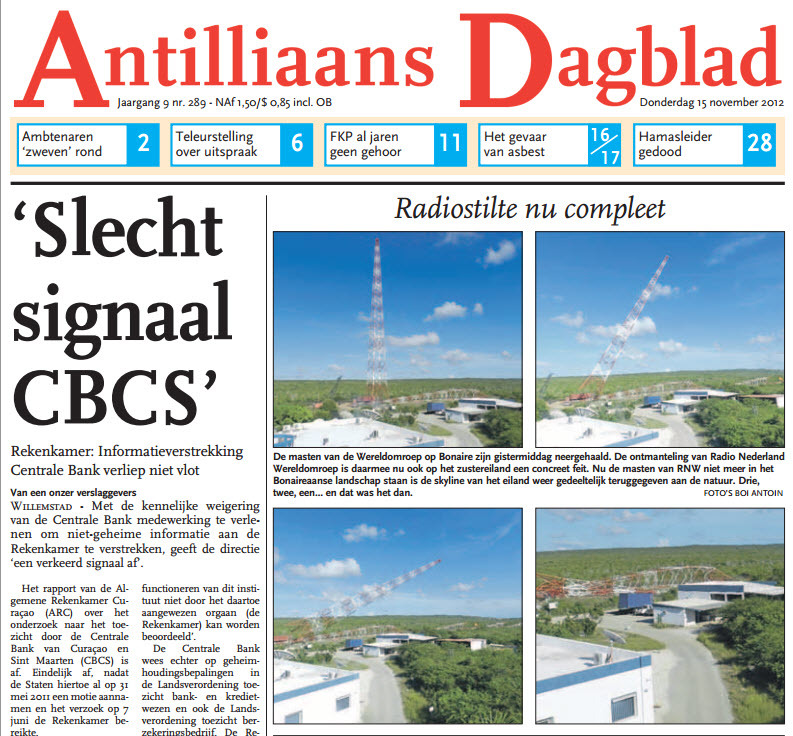 Actually, nothing has happened at the AM transmitter sites, except that in some cases stations are operating with reduced power to save on the expensive transmitter running costs. The problem is that all kinds of devices in the car are generating low levels of radio frequency interference right next to the antenna trying to pick up a relatively weak signal from a few hundred km away. And whereas these devices were often shielded with metal to prevent the noise getting out, metal is being replaced by plastic which lets the noise through. The results are horrible to listen to, especially with the engine running. 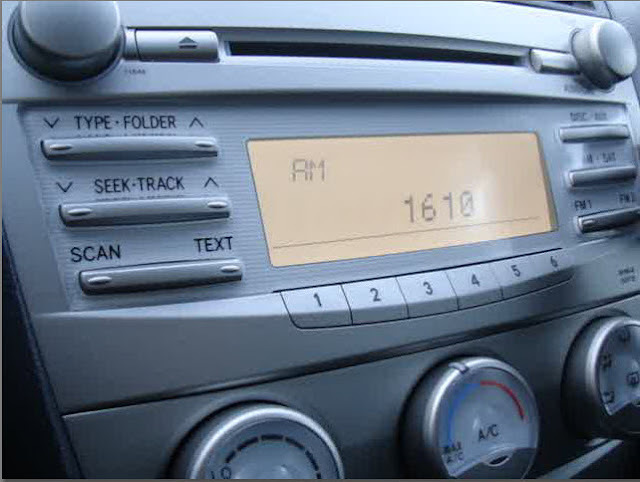 The AM radio in many cars also has a rather narrow AM bandwidth filter, which makes the station sound as though the announcers are wearing clothes-pegs on their noses. 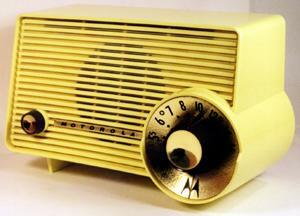 I used to enjoy listening to BBC Radio 4 on longwave. But that stopped when I replaced the car and discovered the radio in the new hybrid Toyota had no longwave coverage. Mediumwave coverage was not an enjoyable experience. AM is on the way out, that's crystal clear to me. I note in the US quite a few local tourist information stations operating in national parks or low power stations giving traffic info. They operate on 1610 kHz. Wonder how that information is going to be delivered in the future? If you're curious about the history of this place, then check out a previous posting on this blog. There were 17 masts at the site, the highest of which 103 metres. Bergen in Norway remains my favourite of the Hansiatic Cities. These guys have a quirky sense of humour. In their latest production, Pistol Shimps have obviously been experimenting in town. Imagine if Lord Patten had stayed inside Broadcasting House while Entwistle resigned infront of the cameras outside. 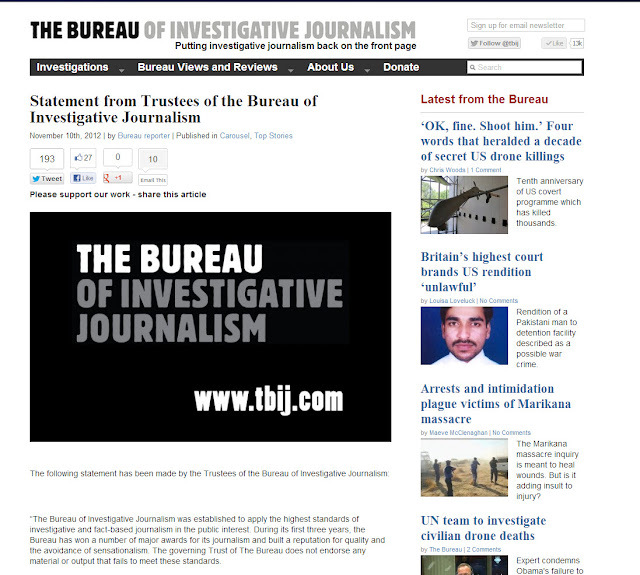 That's a bit like the way the Bureau of Investigative Journalism is operating at the moment. 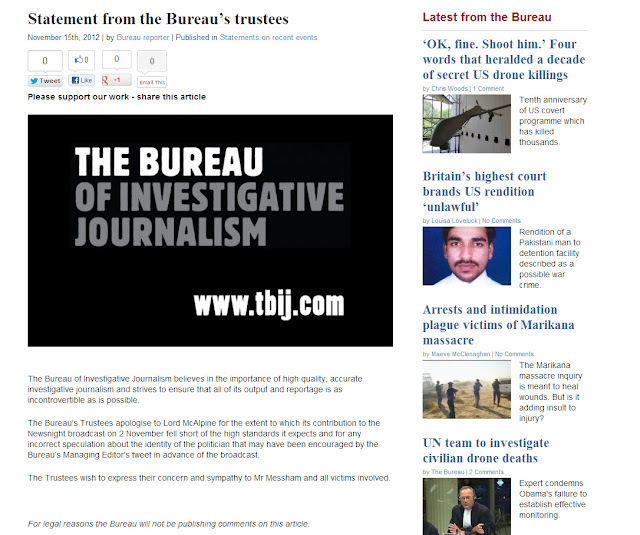 There are trustees statements on the site, accompanied by a banner which looks more like a funeral card. The Bureau has indeed done fine work in the past. It seems to have underestimated the power of Twitter. But its formal manner of addressing the website visitors doesn't match the tone and tenacity with which it tackles other topics. I quite liked the 3 minute montage (script below) about the 90 year history of the BBC commissioned from Damon Albarn, best known as the frontman and primary songwriter of the alternative rock band Blur. I can understand why it had to be so short. Not sure I understood why it had to be so complex. Many of the elements get lost. 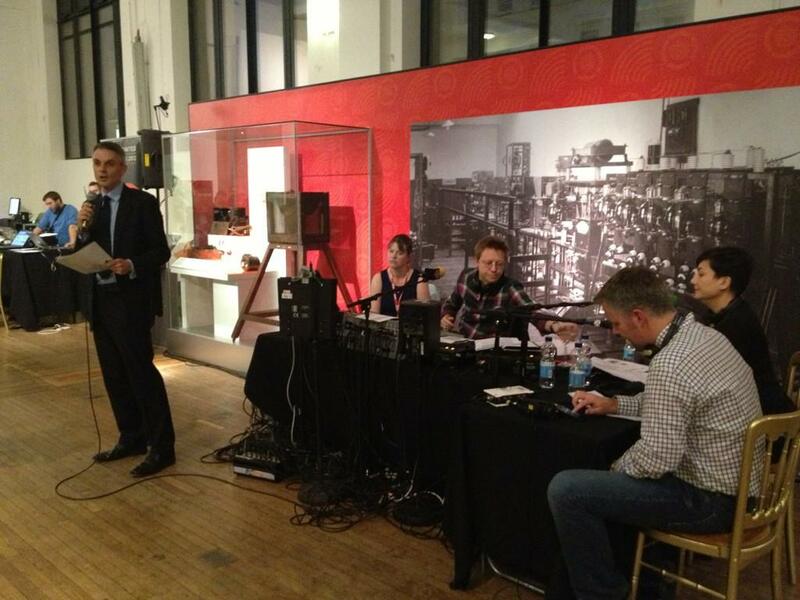 I thought the interview afterwards on Radio 2 in the Science Museum rather lacked passion. An interview which went out on the Today programme was much better. 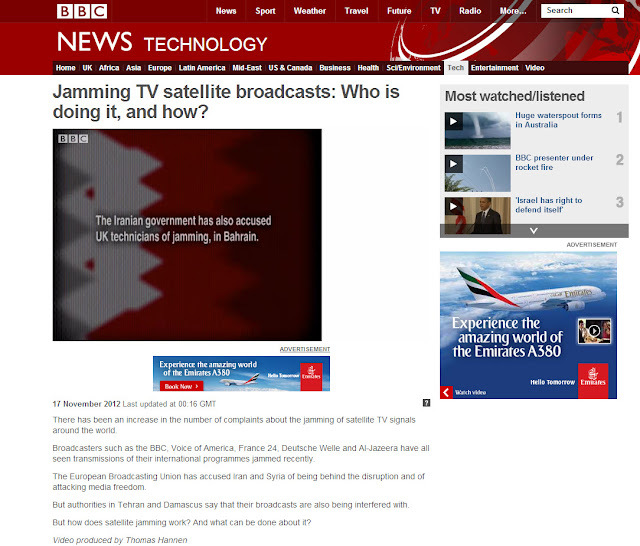 Update: I embedded the link above but got a lot of complaints that the BBC embedded player keeps starting automatically. So I have removed it. If you want to hear the interview, try this link. It's clear that Damon knows the station playing the Swedish Rhapsody is a cold war spy numbers station which many shortwave listeners will recognise. Did quite a few programmes about this sort of stuff myself. The new BBC Listener Archive project is bursting with passionate collectors who understand how to mix and remix the medium like no other. Always better than the professionals, in my experience. 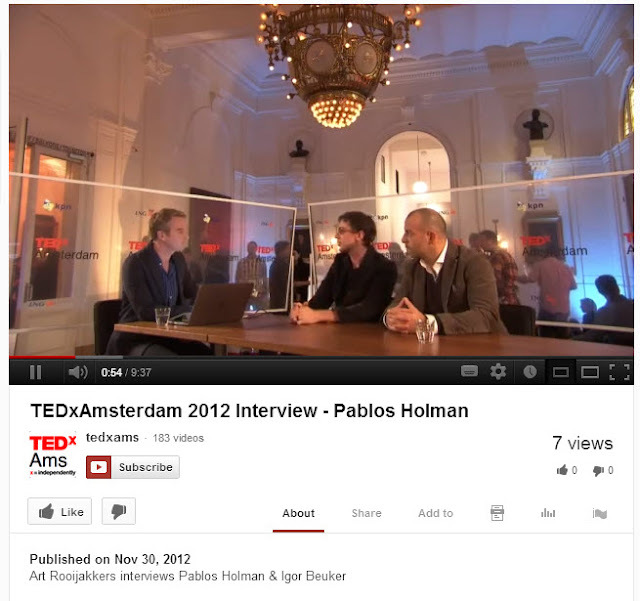 I am equally impressed with what the audience out there is up to with video. There are whole channels dedicated to 'amateurs" making their own versions of movie trailers. Many of them often turn out to be better than the "original". Are these amateurs a threat to professionals? No. These are the new generation of digital entrepreneurs. Learn. Listen and Embrace. Follow the time codes below for a breakdown of where the different elements for Damon Albarn's piece marking the 90th anniversary of BBC Radio come from. 00:00 Radio 4 broadcasts the chimes of Big Ben – the ‘bongs’ – live every day at 6pm and at midnight. 00:18 In 1922 the radio transmitter 2LO broadcast for one hour a day from Marconi House in the Strand. 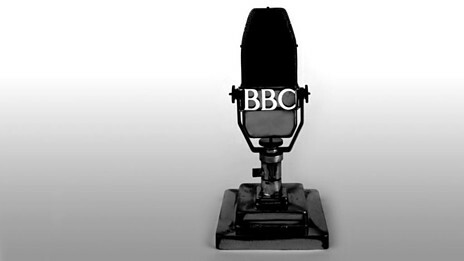 This audio, recorded in the 1930s, recreates the BBC’s first ever transmission. 00:26 The pop hit of the day, Three O’Clock in the Morning, a waltz by American bandleader Paul Whiteman, one of the first pieces of music played on the BBC. 00:35 The songs of the blackbird and lark are from the British Library’s sound archive – a collection that includes wax cylinders and MP3s. “Hello future”. The first message in the piece was sent by a BBC Radio 6 Music listener. One of the BBC’s first digital stations it first broadcast on 11 March 2002. The clip is voiced up by Nico, the resident Kid Critic on Steve Lamacq’s 6 Music show. 00:44 The shortwave radio sample is from Freesound – a database of audio that anyone can add to or download from. Bertrand Russell delivered the first Reith Lecture in 1948. The Morse code is his quote, "Love is wise, hatred is foolish". 00:50 “If time travel does exist...” Will we ever know if time travel exists? Stephen Hawking once held a party for time travellers but no one showed up. This message was recorded by a child at Bath Community Academy. 00:59 “We’ll be living on Mars…” At the closest point in its orbit Mars is 35 million miles from Earth. In October 2012 Nasa's Curiosity rover found soil on Mars to be similar to Hawaii's after sifting and scanning its first sample on the Red Planet. 01:07 “Everything is connected”. Kevin Kelly is obsessed with the meeting of technology and biology and is widely regarded as a digital visionary. 01:10 “Keep talking to one another…” Message sent to BBC Radio Cornwall. 01:18 “Proud…” The message sent by a listener to BBC Radio Lincolnshire is in response to London’s staging of 2012 Olympic Games. “I hope 90 years from now, no one misuses religion…” The BBC Persian service has been broadcasting since the 1940s. “ We can do better.” Message sent from Australia to BBC Outlook on the World Service. 01:27 “I hope it doesn't get too hot...” The Great Barrier Reef is the largest collection of corals in the world. Climate change and pollution are among the threats to this fragile ecosystem. “Dressed up…” The World Service broadcast the audio of 2011’s election in Cameroon. President Paul Biya retained the position he’s held since 1982. 01:32 “We are all caught up in this rat race…” Message recorded in London. 01:38 “How time flies! Recorded in Nigeria and sent to the World Service’s Hausa language service. 01:47 “Fresh air, woods…” Recorded by a Dane living in London. 01:48 “I think it’s gonna be a bright colour… “ Recorded by a listener in Gwent. 01:58 “I think there’ll be more people…” The global population is currently estimated at around 7 billion. In 2011 the UN predicted it may hit 10.1 billion by the year 2100. 02:10 The BBC first broadcast the Greenwich Time Signal aka ‘the Pips’ in 1924. Each pip is a 1 kHz tone (about half way between musical B5 and C6). This is a rare opportunity to hear them not on the hour since as a rule the BBC only allows them to be used for time-keeping purposes. 02:15 Radio Reunited concludes with a piece inspired by the ‘pips’ that Damon Albarn specially composed which he plays it on piano and glockenspiel. This would be a great theme for the BBC Listeners Archive Project. Enjoyed listening to the first in the series on BBC Radio 2 at 22 hrs UTC on November 14th. A week on from the successful Listeners’ Archive open days, and the boxes of cassettes and reels of tape (and one minidisc!) are starting to arrive at our digitisation centre at the BBC’s historic Maida Vale studios. We’re enormously grateful to listeners and colleagues across the BBC for their help with the project to date. 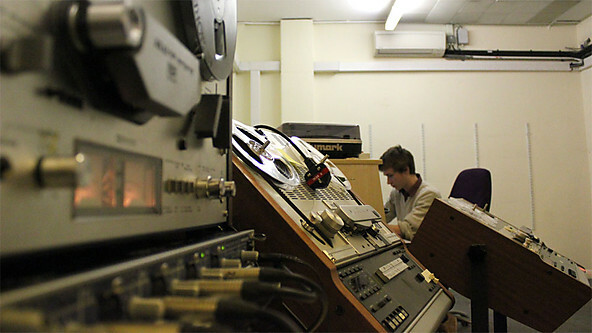 Now, in a windowless room packed with equipment including some vintage reel-to-reel machines, our team are setting to work reviewing audio and starting the process of transferring it to digital. We already know we’ve ticked a few things off our “wants” list. We’ve found everything from “Have A Go” from the Light Programme in the late 50s, to “Out On Blue Six”, Mark Radcliffe’s first shows on national radio. As I type, one workstation is playing out Steve Wright on the Radio 1 roadshow in Bournemouth from 1993; another is running Alan Freeman and Kenny Everett recordings. We also have an astonishing discovery of one man’s extensive collection of recordings of BBC radio in the late 50s and early 60s, now held by the British Library. It includes editions of “Skiffle Club” from 1958 and “Sing Something Simple” from 1960. We’ll feature this in our programme to be broadcast on the 90th anniversary of BBC radio on November 14th. Trevor Dann is on the case, speaking to the collector’s relatives and neighbours. BBC Radio has found a novel way of celebrating its 90th anniversary. It's a welcome distraction to the current management turmoil. 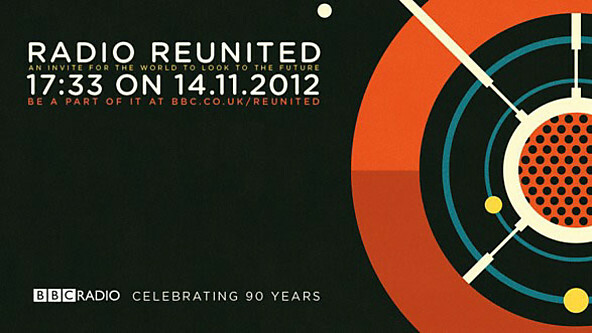 More than 55 BBC radio stations will come together for Radio Reunited – the first attempt at a simultaneous broadcast since what was then the British Broadcasting Company was formed in 1922. Each BBC station will play the composition, entitled 2LO Calling - a combination of specially written music, iconic sounds from radio’s past and present, and messages to the future from listeners around the world. The broadcast will be hosted by BBC Radio 2’s Simon Mayo, who will present his show from the Science Museum, now home to the original 2LO transmitter on which the first broadcast was made. It is estimated that the historic broadcast has a maximum potential reach of around 80 million listeners world-wide. 2LO Calling opens with the iconic chimes of Big Ben and features the first ever broadcast from the 2LO transmitter. In addition to the vocal messages which were collected, the chaotic wavelength overload features the No 1 tune at the time - titled Three O’Clock In The Morning. There follows elements as diverse as a Morse-coded Bertrand Russell, the blackbird and skylark, commentary from the Cameroon election, with Pashto, Danish and Pradeep (not sure what that's supposed to be, JM) transmissions, and of course, the ubiquitous pips. The schedule on BBC World Service said they will have their own programmes. But in fact they did play the 3 minute item. Noticed the Swedish Rhapsody clandestine radio station at the start of the montage. However, Kim Andrew Elliott notes that the BBC Arabic service will take part in the celebration at 1733. It was the first foreign language service of the BBC, starting in 1938. 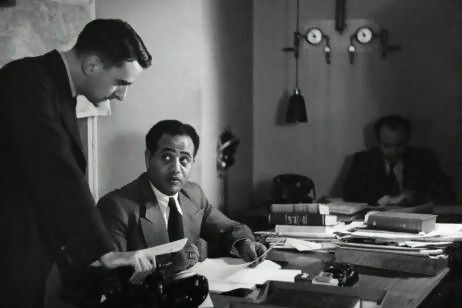 22 Jun 1938, London, England, UK --- D. Stephenson, Arabic Sub Editor of the BBC, consults with H.M. Da Souki, relief translator and announcer of the BBC Arabic service. There are other programmes to be found here. 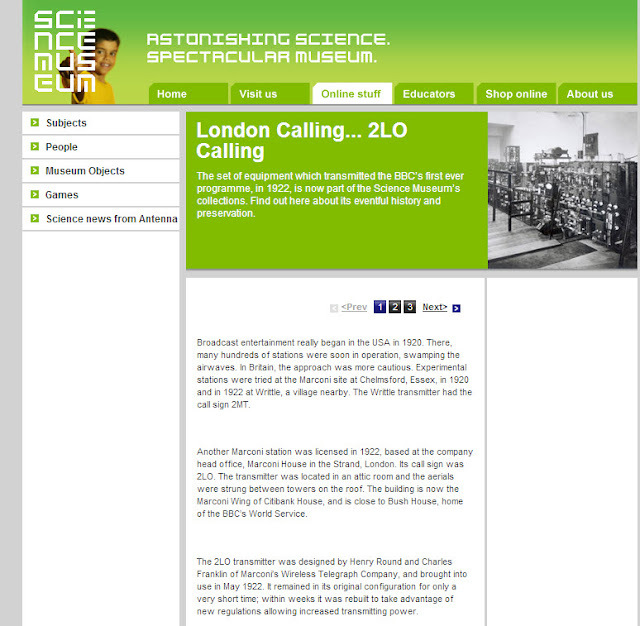 I note though that the Science Museum in Kensington, where the old 2L0 transmitter is located, hasn't heard of the Dutch pioneer who broadcast music programmes from the Hague and who even got the Daily Mail as a sponsor. Their website says that broadcast entertainment began in the USA. I would submit that it actually started in the Hague. The Dutch public broadcaster VPRO set up a programme called Studio Idzerda which is named in his honour. PCGG was the call sign of a privately owned Dutch radio station which was on air from 6 November 1919 until 11 November 1924. Broadcast from the home of its owner, the Frisian engineer Hanso Schotanus à Steringa Idzerda, in The Hague, the station is among one of the world's oldest radio stations and arguably the first commercial broadcaster. Idzerda was granted his broadcasting licence, which officially limited him to making experimental radio communications between The Hague and Eindhoven, on 14 August 1919. On 6 November he initiated the first official broadcast of his show "Radio Soirée-musicale", the details of which were advertised in a local newspaper. The main goal of his earliest broadcasts was to sell the radio receiver equipment produced by his company, NV Nederlandsche Radioindustrie. It is believed that the microphone and transmitter set-up employed by Idzerda would have been the same or similar to those used in the technique he patented on 24 February 1924. During the Second World War he began part of the Dutch resistance. He was executed in Wassenaar on November 3rd 1944 by the Germans. He had been examining a V2 rocket which had failed on take-off. He was discovered by the Germans and told to clear off. He later went back and was discovered again, this time carrying some pieces of the bomb. The German troops shot him on the spot for being a spy. Swissinfo is reporting that Apple reached a deal with Swiss Railways about the use of their iconic clock face on the latest edition of iOS. Swiss Federal Railways has declined to confirm the figure of SFr20 million ($21.09 million), reportedly paid by Apple to settle a patent dispute for use of the Swiss company’s iconic clock design in iPad and iPhone devices. The amount of the settlement was widely reported, following a Swiss newspaper report citing undisclosed sources. “We also got the figure from the Tages-Anzeiger article,” Federal Railways told swissinfo.ch. The settlement was reached in talks held between Apple and the Federal Railways in October, following the appearance of the clock face as part of the new iPad operating system, introduced in September. “Both parties agreed not to reveal any further information on the extent of the agreement or any other details. That has not changed,” Federal Railways wrote in an email reponse to swissinfo.ch. The Federal Railways’ well-known clock was designed in 1944 by Swiss electrical engineer and designer Hans Hilficker. Today the image is widely licenced. The watchmaker Mondaine received the exclusive rights to sell copies and watch versions to customers who wanted a replica of the design. Mondaine was reportedly unaware of the deal the railway company had struck with Apple until after it had been agreed upon. However, Mondaine told swissinfo.ch that they are happy the design is now being seen around the world via Apple products. “We’re proud that Apple has joined the club of good taste,” a Mondaine spokesperson said. Apple’s new mobile operating system iOS6, introduced in September, has the Swiss station clock on the iPad to represent its first internal timekeeper, which can also serve as an alarm clock. Actually, they could have done much more with their 21 million dollar deal - like making an iOS app which emulates the Stop-to-Go functionality that made the Swiss clocks so interesting. The second hand goes round in 59 seconds and then waits for a synchronising pulse that moves the minute hand and starts the second-hand again. 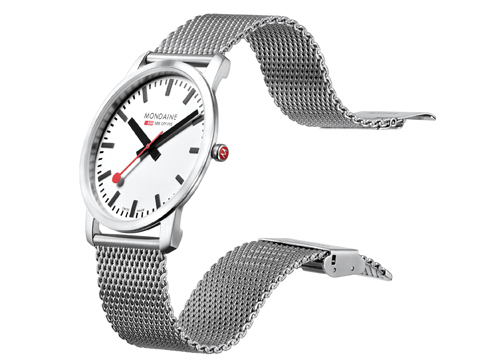 Mondaine made a watch in the late nineties which emulated that movement. I bought one and it works perfectly. It can be a bit fiddly to set up so that the second hand stops at the top of the hour rather that at some other point on its travels round the face. That may have been part of the reason to discontinue the movement in 2001. YouTube has a side by side comparison showing the difference. 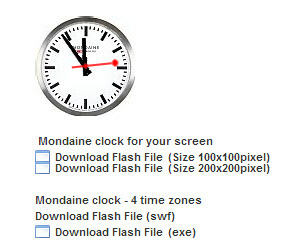 Mondaine is also missing a trick. The watch company that licensed the design from SBB has a flash app on its website (Flash doesn't work on iOS) and it doesn't stop and go like the "real" station clocks. Wonder who got fired at Apple for not clearing the design beforehand? And SBB could make ALL their station clocks the same design for that matter. SBB Misses a Trick. At Geneva Central station the main clock is NOT the Hilficker design. Learning such a lot about movie sound from a series on Vimeo. Love the use of the paint stirrer. WBLI Parody of PSY's Gangnam Style reflecting the growing frustration on Long Island. Jim Cutler reports how the Long Island Power Authority have installed an automated response machine to advise customers of the power reconnection situation following Hurricane Sandy. He's still without power so phoned for an update. Someone has failed to set the machine up properly so it has become extremely funny. Which wasn't their intention. An automated voice reads you back your address when you call LIPA to report your power is still out. The computer generated voice says specific things like: "Crews are continuing to work in your area 24 hours a day to restore power in Old Brookville. As of 11:30pm over 124 men and women are working in your area...."
And now the good part: The voice continues reading what must be NOTES on the bottom to the live operators when they're open during the day: "If the customer is hostile stick to the talking points. Take a deep breath and understand that the customer is probably upset..." the automated voice continues is it's strange almost human accent, "You don't have to take abuse, refer to supervisor. Keep assuring the customer that help is coming. Refer to talking points. Goodbye." Reminds me of David Pogue of the NYT speaking in 2006. Jim Cutler shared this great production, especially when you realise how it was made. Good for Tim. That interview was indeed over.